In the early 70s, 18-year-old Clive Campbell aka DJ Kool Herc threw an epic block party in the Bronx in New York City, where he invented the sound we know and love as hip-hop today. 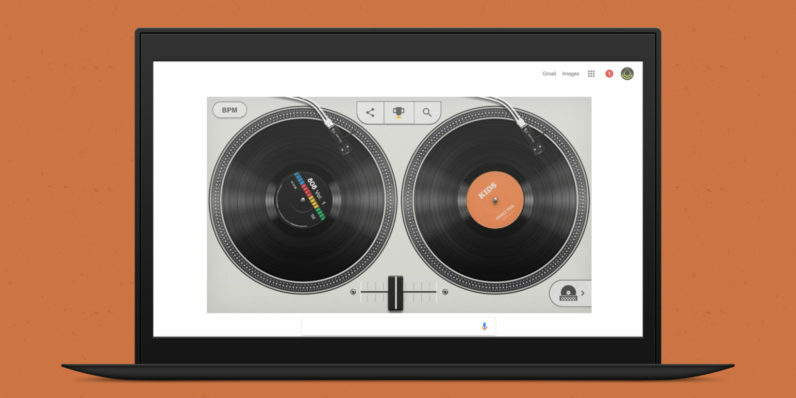 To celebrate the genre’s 44th birthday, Google has whipped up one of its most creative and interactive doodles yet. Head over to google.com to play DJ with a bunch of records favored by DJ Kool Herc himself, along with easy-as-pie controls for crossfading between records and scratching vinyls. It takes just seconds to begin creating your own block-rockin’ beats. Oh, and try your hand at unlocking all ten achievements while you’re at it!